Self promotion may seem like a filthy word to few people. If you overdo the self promotion or do it incorrectly, you are doomed with looking as arrogant and a bragger. And if you do not self promote, you lose many openings to a valuable career. You must keep this in your mind that self promotion is equal to compensation. When one opts out on self promoting, they run the risk of making considerably less money than they could throughout the career. You need to learn the secrets that will keep you balanced on the fine line of self promotion. When you self promote, you articulate your skills to educate relevant people and to display the value you bring to an organization. When one brags they excessively talk about their value to people who may be relevant or irrelevant with the intention of feeling superior and confident amongst all. Remember that it is not an option for you to self promote or opt to not. When you do not self promote you will be entangled in the menial jobs and will have to suffer with a constant amount as your compensation. If you need change and advancement in your life and for your career, remind yourself that self promotion is not an option. You may have worked and contributed your competency to many big projects for your firm however you do not take pride and think you were just supporting from behind the scenes. You need to understand when and how you contribute and position yourself in the forefront. It could be that the whole project could disrupt if you had not contributed your part. Know what are your strengths and weaknesses. Contemplate what makes you stand out and what values have brought success to you and your organization. When you know what your value is, you become confident to promote yourself in a positive way. You need to self promote as if sharing what you love about your job to family and friends. Articulate your achievements in this manner and it will be taken as your passion for your job. Share what you have achieved and state how it was beneficial to your team and organization, thus satisfying for you as well. Share about your work and the accomplishments plus even add how it makes your clients, team or organization happy. You avoid being labeled as pushy when you show how your work benefits, extend to a wider community. When you are promoting yourself you need to be consistent. If you are looking for a raise and have failed to promote your case throughout the year then you are not being consistent and likely to have less effect on your manager for raise. When you are self promoting, you need to be assertive and unambiguous about what you possess, to offer. You first need to yourself believe that your skills are valuable, to make others believe in you too. You will fail in self promotion if you fail to be confident about your capabilities in interviews or at any situation. After a meeting, ask your boss informally how they think the meeting proceeded and how they think you did. Follow up with a thankyou mail for their feedback. When people see that you are more open to getting feedback, they will comfortably provide you with it, helping you for self branding. Another way of self promoting is by asking people what they are working on and take that opening to share what you are working on. If people find it interesting they will ask and would want to know more about you. When you are climbing up to the higher levels of your job you will have to self promote to your coworkers, managers, or their bosses. When you interact with them they become more supportive to take you to another higher level. The management cannot keep track of all employees’ accomplishments all by themselves to detect whom to give raises and grant promotions. You must have noticed many times that a boastful person gets ahead and grabs hold of promotions. Sometimes you need to be boastful to call attention to your successes. When you keep expressing how your team accomplished something, you make others wonder if you can perform in the same manner without your team. Make sure you make visible your contributions and achievements clearly utilizing “I” when sharing your team accomplishments. Always remember that you are a bread-earner and that you self promote to reach higher levels in your career and to support your family. It is all about advancing in the career and not just being arrogant and pompous. There exist people who prefer to see the beauty in others. You need to have such people in your life so that they support you and help you in self promotion. They will cheer you on for your achievements and you are more likely to feel comfortable, when self promoting in front of such people. Keep a person aware about each of your achievements. It could be a coworker or client, supervisor or boss to whom you can regularly share your achievements. That particular person can help you self promote by sharing your achievements to the mass. This way you can escape from being called as a bragger. When you tell others about your goals, vision and ideas or plans to achieve them, you make a point about yourself and create a self brand amongst others. For self promotion, you need to stand out from the others which can only happen if you spread a word about your uniqueness. Create and develop something unique about you and showcase it to people. To be ready always to self promote, prepare a brief introduction or list about your achievements which gives a gist of all the skills you hold. When you meet new people or significant people from your organization unexpectedly, most of the time you run out of words to self promote accurately. Be prepared with a brief self promotion speech to deliver it at any time to any relevant person. Do not use many words or big words to obviously impress people. They conversely feel unimpressed, thinking you are being boastful. Short words are enough to self promote and be effective. Ensure you are direct and concise about what you do and did as part of your achievements and in this manner you will be able to self promote in few words. When your boss appreciates your work or compliments on the way you handled something, do not reject or snub saying it was just ‘nothing’. Rather acknowledge their appreciation and show gratitude and state that the recognition means a lot to you. You should be in frequent contact with the significant people. You will not be able to effectively self promote if you meet a person rarely. You need to be face to face to articulate your achievements and make sure it happens on a regular basis. Your boss has a lot on their plate and so you will have to make it a point to keep them updated by reviewing your weekly attained goals and scheduling weekly meets with the boss to share them. If meeting is not possible make sure you email the details about your accomplishments. You will have to show the wider impact of your actions on the firm’s success without over exaggerating and being precise, balanced and informative. You need to know the situation when to self promote, your statements to promote yourself should be relevant to the topic being discussed. When a discussion is about achievements, boasting will not be seen as inappropriate. It is fine when you steer a discussion towards a subject relevant to your achievements. However even if you change the topic overall, it may not be the right moment to talk about what you have achieved. You will need to wait for the time when the significant person throws an opening with a question related to what you have done. From the moment you self promote, it will take at least a year from that point for you to receive the benefits of all self promotion tactics. You will not be recognized instantly or can be gratified the moment you achieve something. It will take many achievements and much time for you to receive appreciation and advancements. Through social media networking you will come across people with like-minded interests and where you can promote yourself to gain visibility. Through sites like Twitter, Facebook and LinkedIn, you are able to share your achievements to a mass and get recognized quickly and easily. Create your own blog and share some insight on what you do. The people from your industry are most likely to find you interesting and lately this is the best way for self promotion. Ensure that you have good search engine optimization so that people can find you easily. Just like websites when you start a video blog, people familiarize with you and they get to know all about you through the videos. It is very effective and great platform for self promotion. When you are talking about brief way to self promote, business cards can be very effective. You have listed on them all that you do and people can find you whenever they need, what you have to offer. Do not just sit in the office and expect people to know what you do around the organization. Visit networking and charity events and meet up new people to share your insights and about what you do. People are more likely to make deals with people they know and hence it will be beneficial for promotion of your firm and yourself. Taking help and advice will not imply that you are less aware of what has to be done or shows you are incompetent. When you ask for help from experts you are actually building network and facilitating yourself from their complementary skills. Acknowledge and show gratitude for their help and advice, which is a gesture that people are certainly going to recall and appreciate. When your team has successfully accomplished a big significant project, celebrate with your team and do not shy away. Send emails across the organization and promote the team’s success as well as yours. This is visibly a noted way to grab attention of other people to your status of achievements. In the current world, you will find that the companies are regularly hit by competitors, every department gets reallocated and the members are always moving up or nowhere. Thus in such a scenario your achievements are surely to be overlooked. 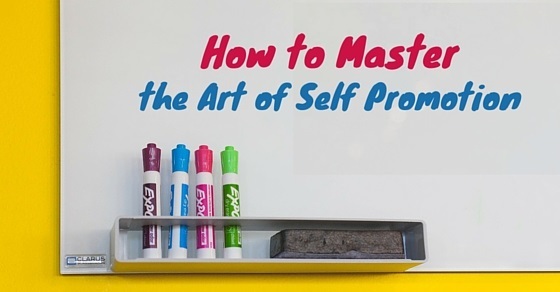 You need to make sure that you are receiving the recognition that you deserve and hence it is important for anyone, to master the art of self promotion. Previous articleHow to Ask for More Job Responsibilities at Work?